The Pittsburgh Penguins have won the 2017 Stanley Cup, defeating the Nashville Predators in the Final with a 2-0 victory in Game 6 at Bridgestone Arena in Nashville on Sunday night. The Pittsburgh Penguins have won the 2017 Stanley Cup, defeating the Nashville Predators in the Stanley Cup Final with a 2-0 victory in Game 6 at Bridgestone Arena in Nashville Sunday night. After starting the series with two victories at home, the Pens headed to Tennessee for the next two contests, where they lost both games to leave the Final knotted at two wins apiece. Pittsburgh drubbed the Predators 6-0 on home ice in Game 5 to reclaim a 3-2 advantage heading back to Nashville. Playing in front of a raucous sold out crowd, Nashville wasn’t able to capitalize on their home ice advantage, as the Penguins celebrated their second straight Cup and fifth title overall (1991, 1992, 2009, 2016 and 2017). 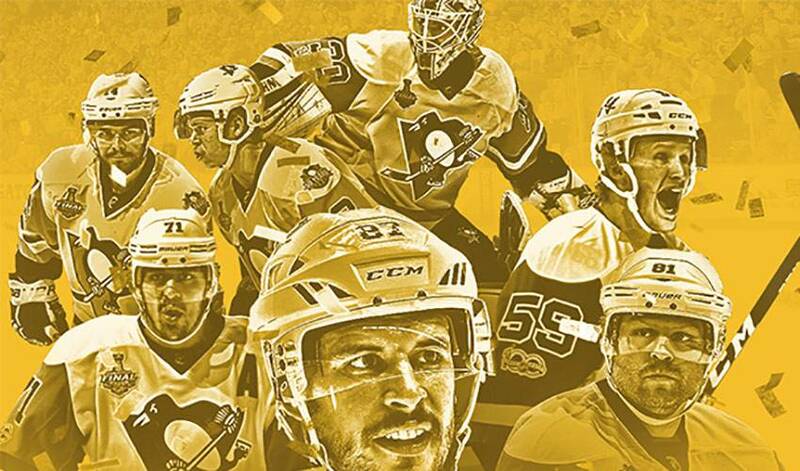 Pittsburgh also became the first team since the Detroit Red Wings (1997, 1998) to repeat as champions. Patric Hornqvist lit the lamp with just 1:35 left in the third period, while Carl Hagelin added an empty-net tally with 14 seconds remaining. The Penguins outshot the Predators 9-8 in the first and 13-11 in the second frame, but were outshot 8-7 in the third. The final shots were 29-27 in favour of Pittsburgh, with Matt Murray earning the shutout. A Nashville goal was waved off in the second period after one of the referees lost sight of the puck. Three-time Ted Lindsay Award recipient (2007, 2013 and 2014) Sidney Crosby was named the Conn Smythe Trophy winner for the second consecutive time. In 23 playoff games, he recorded eight goals and 19 assists for 27 points. The 29-year-old is also a Ted Lindsay Award finalist in 2017, joining Edmonton’s Connor McDavid and San Jose’s Brent Burns on the shortlist for the most outstanding player as voted by their peers. Congratulations to the 2017 Stanley Cup Champion, Pittsburgh Penguins, from the staff and members of the NHLPA.